BaoHua and his family live in a region of southwest China that’s known for having water problems. She was in so much chronic pain that she took her own life. BaoHua worried about how the water would affect his three children. Then his oldest son got kidney stones. So, BaoHua started working extra hard to save money to make what he called a ‘humble’ cistern. It was small and didn’t have a lid, so the water was still bad. When his youngest son got typhoid from it, BaoHua turned to Jesus. He’d heard of Him from some of his relatives. “I said, ‘Lord, please help me and let me and my children have clean water,’” he shares. 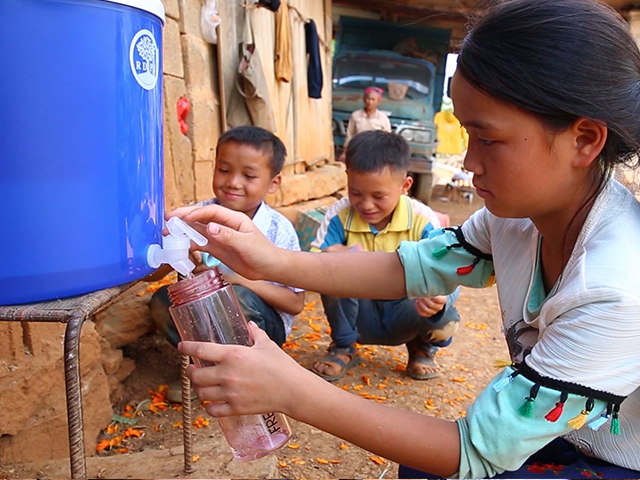 Shortly after, CBN came to BaoHua’s village to build his family a sturdy, sealed cistern and give them the filter they needed to purify their water. BaoHua and his family live in a region of southwest China that’s known for having water problems. “The only water we have here comes from a dirty pond,” explains BaoHua.